On Saturday I spoke on my favourite topic ‘Purpose’ at the Green is the New Black conference in Singapore. Congratulations to Stephanie Dickson, her incredible team and the fabulous Hotel Jen Tanglin for hosting the first conscious festival of it’s type in Singapore. I was so very humbled to be standing amongst some of the worlds leading revolutionists in their industries, people like Carry Somers of Fashion Revolution, Masami Sato of Buy1Give1 and Solonia Teodros of The Change School. 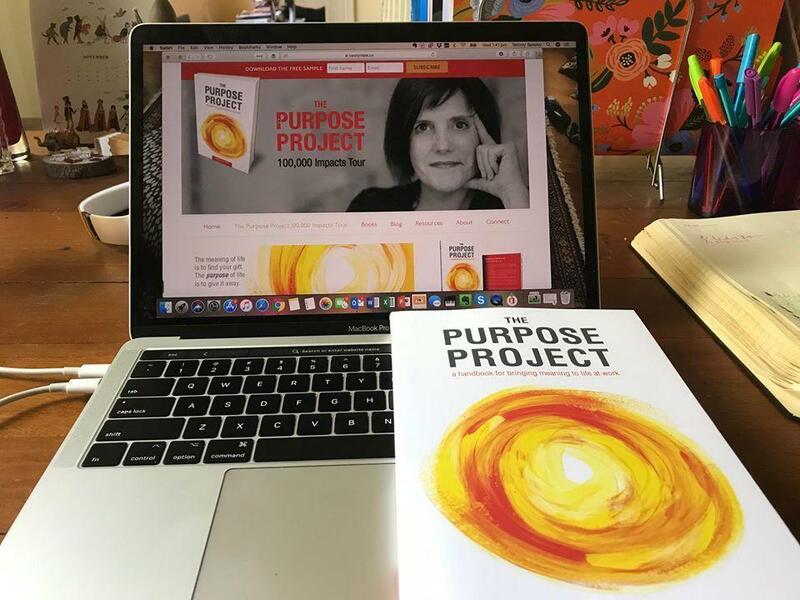 If I’ve ever needed confirmation that there’s a purpose revolution underway, this was it. There were so many stories, stats and facts highlighting how hungry us human beings are for meaning in life and at work. Meaning most definitely is becoming the new money – and way faster than we think. Meaning and purpose will be the very thing that disrupts capitalism as we know it, not technology. Technology will merely be the enabler of purpose. I loved hearing from each of the inspiring speakers about the revolutions they’re leading. What I loved even more was hearing about what’s happening for the people in the audience, the revolutionists in the trenches…women like Shivani who has a 5000 strong snap chat following of young women in tech and who’s passionate about bringing mindfulness to the tech world. And her friend Rocio who is a litigation lawyer and passionate about mentoring young women in law. And finally, women like Katy. At the end of my talk and while I was still on stage, Katy told me (and the whole audience) that she was here because of me. 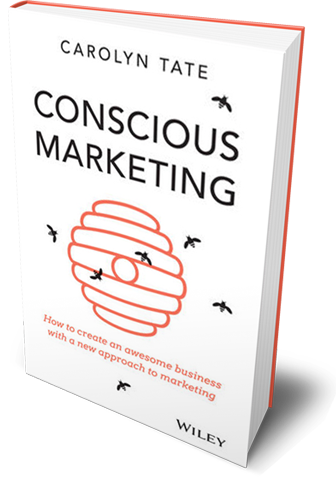 My book Conscious Marketing had had such a profound impact on her that she’d given up her advertising job to start a business helping purpose-driven companies market themselves consciously. I’m usually a woman that’s never lost for words, but this time I was dumbstruck and on the verge of tears. In that single moment I was reminded of why I do what I do. When I have my down moments (and we all do) and I feel like no one’s listening or cares about doing business differently, Katy, I will think of you. And I’ll think of all the other purpose-driven revolutionists I’m so lucky to have in my tribe. People like Irma, Beth, Matt, Sarah, Stephanie, Rory, Rob, Margaret, Jon, Yamini, Sandy, Sandi, Oliver, Di, Angela, Megan…and too many others to mention. You are all why I do what I do. Why do you what you do? 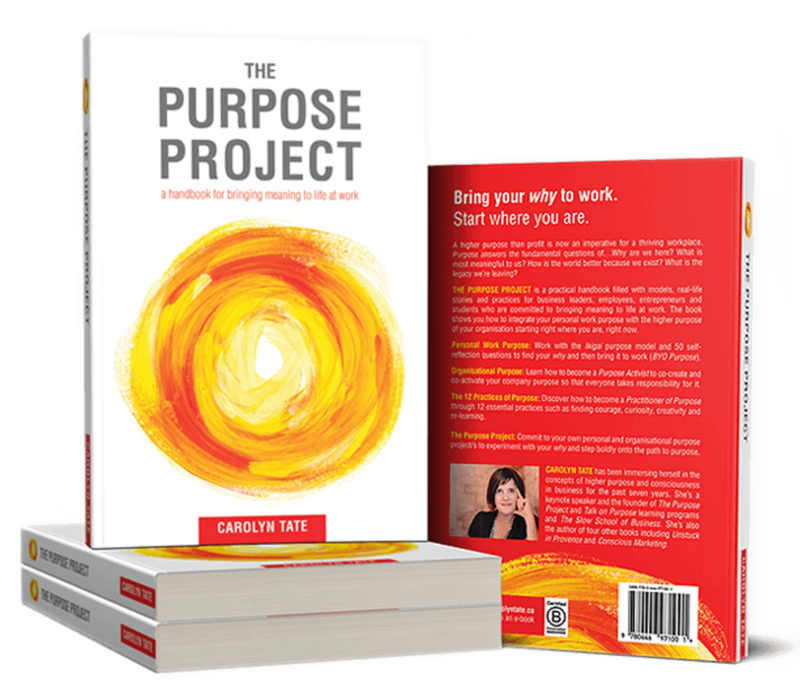 You don’t have to flee your job to bring purpose to your work. You can start right where you are. The purpose revolution starts within. 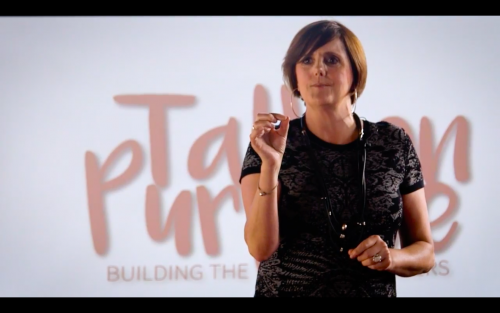 PPS: Need some clarity on your purpose? Check out our courses coming up.